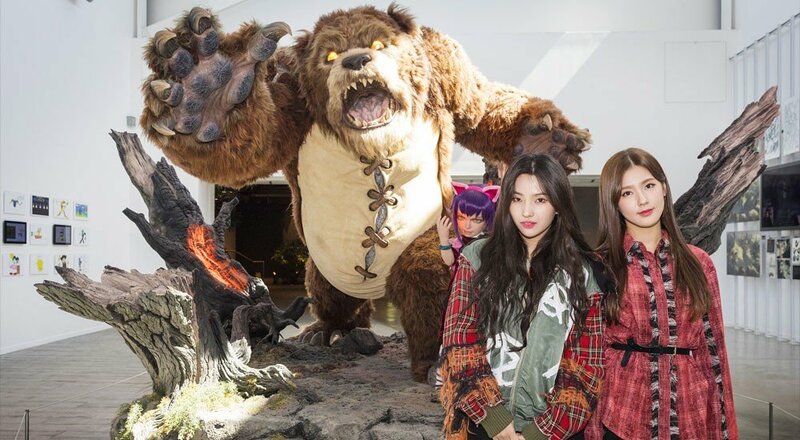 (G)I-DLE members Miyeon and Soyeon were invited to visit the Riot Games headquarters in Los Angeles, California ahead of their special performance at the company's upcoming 2018 League Of Legends World Championship's opening ceremony. The girls shared a photo from their visit through the group's official Instagram account, captioning the image: "Everyone, this is Riot Games!! Please look forward to the League of Legends World Championship Play-Off's opening ceremony on November 3 because we are really working hard preparing for it!!!" The two members will be performing a brand new song made in collaboration with American singer-songwriters Madison Beer and Jaira Burns, who will be joining them on stage during the event, which will be held in Incheon, South Korea.